A good friend recently told me that every decision we make in life can be boiled down to one of two choices: service to the greater good or benefit to self. As a former high school history teacher, political junkie, and civic education advocate, I tend to seek out opportunities that weave these three items together. I volunteer with the Center for Civic Education’s We the People program in our local high school, donating at least 100 hours over the course of the school year. This affords me the opportunity to get back in the classroom; work with students; and discuss the Constitution, our Founders, philosophical underpinnings of the Constitution, and current affairs, in addition to various Supreme Court rulings and history. Volunteering in our communities pushes us attorneys beyond the bubble that practicing law can become. I enjoy being able to share with local students a little bit about how we think and see problems in the legal world. How, for the sake of exercise, we can look at an issue—dissect it, acknowledge the various arguments in all directions, assess their validity, perhaps research further, and make conclusions. This work allows me to challenge both myself and the students in their thinking. Through my local Chamber of Commerce, I have served as moderator of a candidate forum held for the community prior to election day. This type of event encourages voters to learn more about the legislative and local candidates. For many, this is their only opportunity to meet the candidates and determine how to vote. I have found that making the time to volunteer in such capacities is both rewarding and invigorating. The current political climate highlights the importance of civic education. If I can encourage even just one student how to think about a hot-button topic more critically and to throw off the confines of party group thought, I feel I have done something of value. These discussions with our students and communities are critical. When we sit with students and listen to their voices and take the time to push back on their thinking—challenge them to improve their argument beyond emotion—we are investing in the students themselves, but also in our democracy. By moderating the local candidate forum I hope we are opening a community conversation and encouraging informed voting come Election Day. While We the People and the Chamber of Commerce are my things, they may not be yours. If you are not doing so already, I encourage you to find what speaks to you and makes it worth your time and energy to get away from the office and use your skills in perhaps a new way. If you are lucky, you may also find that your service not only benefits your community but also your practice (a little unintended benefit to self). I have found that my time spent in the community connects me to a great cross-section of people, has a positive impact on credibility, and increases firm visibility. While these factors ought not to be your sole motivation, they are tolerable side effects. Grifan Cayce. Grifan is a partner with Cayce & Grove | Law Offices in Maple Valley. 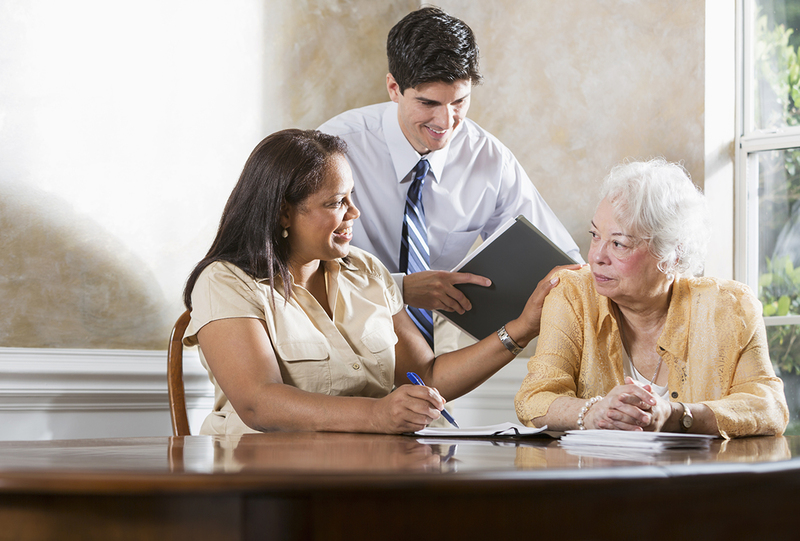 The majority of her practice is focused on estate planning and probate. Grifan serves on the Execu tive Board for her local Chamber of Commerce, Tahoma Schools Foundation, and the VOTE Committee supporting local education funding. Grifan is a proud lawyer mama raising two daughters with her husband and can often be found enjoying family time on the saltwater boating or up in the mountains.